After a loooong writing break from my blog, I’m so excited to invest time again into connecting with you through Kidsbook Friends. This year has been an adventure with re-entering the wonderful world of teaching English Language Arts after the privilege of being home with my three kiddos for the past ten years. Now, not only do I get to share children’s books that our family enjoys, but I also get to post Young Adult literature and publish my students’ writings. April is National Poetry Month, so I’m thrilled to kick off this endeavor by publishing my students’ poems. This week they will write for a national contest as well as blog spot right here. Please stay tuned to encourage these young authors! Please join in the celebration by listing your events and attending other events in your community, displaying this year’s poster, participating in Poem in Your Pocket Day, recommending the Dear Poet project to a young person, signing up to read a Poem-a-Day, and checking out 30 more ways to celebrate. 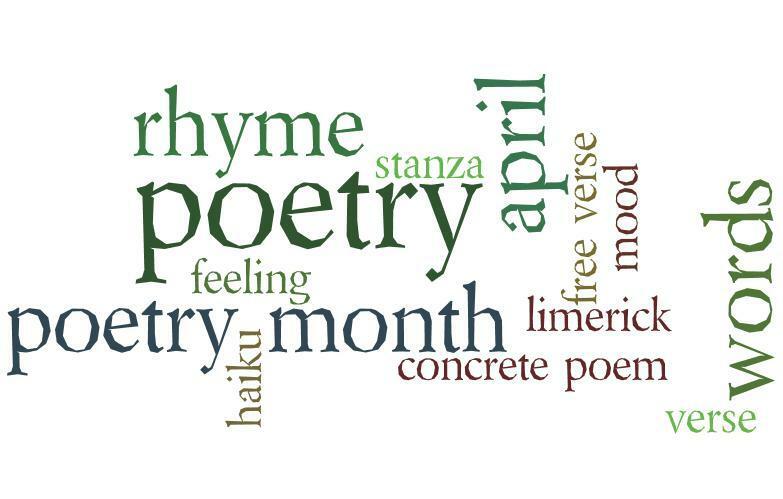 We hope National Poetry Month’s events and activities will inspire you to keep celebrating poetry all year long! This entry was posted in Uncategorized and tagged middle school, National Poetry Month, poetry, YA Literature. Bookmark the permalink.